Tropical Storm Debby came through last month and wreaked some havoc in our area after 4 days of rain. We got around 5" and there was a bit of flooding in Cape Coral, more in Ft Myers, but not nearly as much as Northern Florida got. It always storms around the summer solstice ever since I've moved here, so you may want to plan any June vacation accordingly, and avoid coming for several days before and after June 21st. This past month, I wrote lots of pages about restaurants, new ones that I'd never been to before and ones I've been meaning to write pages on for awhile. We also went to Captiva each weekend to stay at all the places, dine at all the restaurants, and do some fun activities so I can build my Captiva website come next January. We had a blast! The Cape Coral Arts Studio offers classes year round for kids and adults in drawing, painting, pottery, photography, and more. 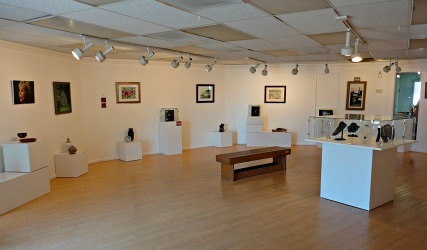 They have an art gallery with student's work, art supply store, and gift shop showcasing student's work. Sign up and learn something new! I've found a new favorite restaurant ....... to add to my many others! You've got to go to Brew Babies, they have a beautiful outdoor terrace, live jazz music, and amazing food. 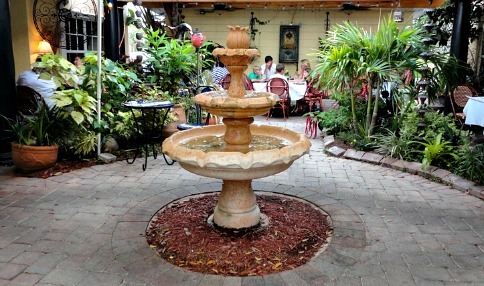 The award-winning Wine and Roses has great Italian food and pizza. This popular restaurant is located on Cape Coral Pkwy. La Terraza 47 serves Spanish and Mexican food along with dancing and live music. They have indoor dining and an outdoor terrace. Ribs, ribs, ribs ......... yum! 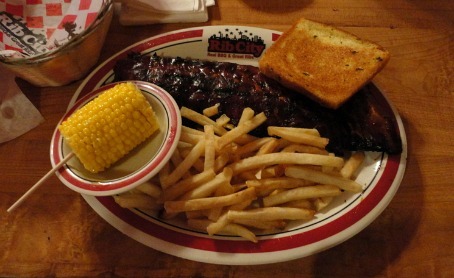 Rib City has ribs, pulled pork, and more BBQ dishes. Make sure you also get their cheese fries with bacon and ranch dressing! 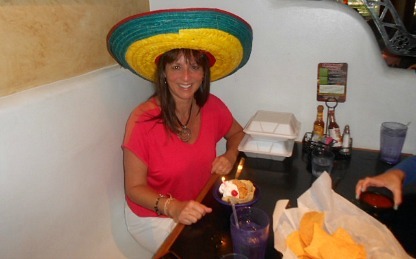 Go to Iguana Mia for tasty Mexican food, you get a free meal and dessert if you go on your birthday! Origins Coffee has the best spicy chai latte in the Cape! Go for breakfast and lunch or a snack. All the above restaurants are on or just off of Cape Coral Pkwy, but now I want to tell you about a place on the northern tip of Pine Island in Bokeelia. 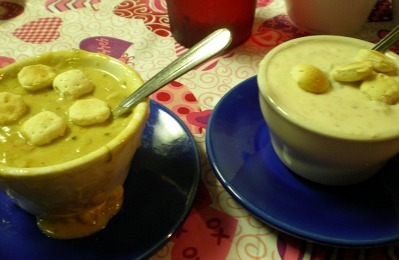 Captain Cons is a greasy spoon with delicious chowder and pie, and some of the most gorgeous sunsets, so plan to go up around dinner time so you can feast your stomach ....... and your eyes! Heading back to Cape Coral, go over to Santa Barbara Blvd, just north of Veterans. In the same shopping plaza are 2 casual family restaurants that serve up meals quickly and inexpensively. Jasons Deli has soups, salads, pasta, baked potatoes, and sandwiches. Everyone gets a free ice cream with their order! Il Primo has the best chicken wings in Cape Coral, and pizza in a family-friendly dining room with TV's showing sports and kids movies. If you go to Iguana Mia for your birthday, you get make a fool of yourself and have your picture taken with a sombrero on ....... to treasure forever! Craft and Cuisine the second Tuesday during season. Sip and Stroll at Marina Village the second Friday.